I love writing dialogue. It is, arguably, one of the the more finely honed skills in my writer’s tool box. Being able to bring characters to life with natural, unforced conversations, just makes me happy. We’re social creatures by nature. Even the most introverted of us deals with people occasionally. And in doing so, oftentimes certain aspects of our dialog degrades into shorthand and common phrases. I never used the word “totes” until I made a good friend who used it all the time. Until about a year ago, I never used the word “legit” the way I do now, but I picked that up from another friend. We influence each other, whether we like it or not. If we rarely venture outside of that communication circle, it can be easy to forget that not everyone sounds like us. And different groups will have different cadence and even different words. It’s an entirely different song, and it helps inform who they are, and how they sound around their peers. For that reason, you need the occasional field trip. 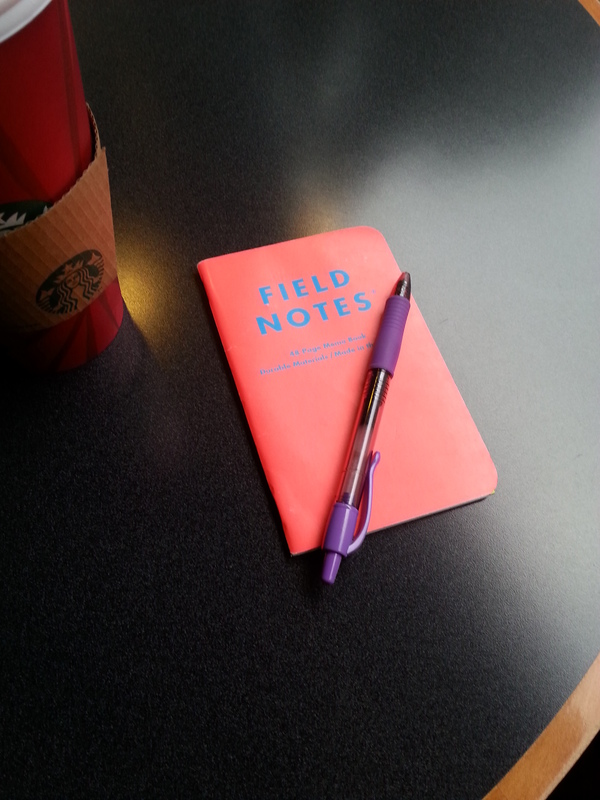 I suggest bringing a small, unobtrusive notebook and pen (Field Notes are my personal favorite–great size, so they can slid into just about any pocket, and a good grade of paper that takes ink well). Alternatively, if you have a good recorder on your phone, you can use it instead–I find mine particularly useful for capturing the rants of people talking to themselves on the bus. But whatever tools you take with you into the field are kind of secondary. The key is to go somewhere people are talking and listen. Really listen. Be conscious of where you’re staking out, and who is clustered around the watering hole. A food court in the business core will score you all kinds of office drone conversations. The bar in a fancy hotel gets you different conversation than a dive bar down the street. The McDonald’s with the PlayPlace™ in the suburbs will likely get you a different kind of conversation than the McDonald’s at 3rd and Pine that a lot of locals point to as “everything that’s wrong with downtown Seattle,” because it feels unsafe. For the record, I’ve never felt unsafe at that particular establishment. It’s one of my favorite places to get a quick meal and listen to people. If you’re a commuter like I am, take the headphones out. There is almost always a conversation happening on the bus or train. Listen to the cadence. Listen to the sentence structure. Listen to word choice. Listen for repeated words, because you’ll hear them. People don’t speak in complete sentences all the time. Contractions abound. Don’t listen for specific content so much as the nature of the content. The details of their lives aren’t important, really. But sometimes context is. A person generally talks differently with a friend than they would with a stranger or authority figure. You might have some reservations about this. Might think of it as eavesdropping. And it is, sort of. But to help cut through the sense of guilt, remember–your not listening for gossip or tidbits of what they’re talking about. You’re not writing about them. You’re listening to how they’re talking about what they’re talking about. Also, as long as you’re doing this in a public place and not being overly intrusive, the odds of them talking about anything really personal are next to zero. Also, just like any good note taking from school, don’t write down everything. If you try and do that, you’ll be paying more attention to writing and trying to keep up. Instead, just pay attention. If something catches your ear, a sentence or two, jot it down as accurately as possible. Capture the pauses and inflections with punctuation and underlining. Heck. While you’re at it, take notes about the people–quirks or characteristics that help make people unique, whether they’re a one or two phrase visual hook or some kind of mannerism. Eventually, you’ll get a better feel for how a wider range of people talk just by listening and paying attention. But be prepared to take notes (a general writing tip I follow whenever I can). That will help translate into more natural, and more diverse dialog. And that will make your writing better.